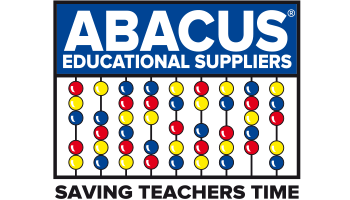 A Western Australian family-owned and operated education supplier, Abacus has specialised in providing WA schools with the highest quality range of maths, literacy, science and storage resources for over 30 years. Located in Osborne Park, Abacus is the exclusive Australia-wide distributor of PrimaryConnections, an innovative program developed by the Australian Academy of Science to help the implementation of the Australian Curriculum in schools. Abacus is also the home of Dr Paul Swan, supplying a comprehensive range of his renowned maths resources. To view the full range of our curriculum relevant teaching and learning materials please visit www.abacused.com.au or call Abacus on 9445 7133. The full range of catalogues are now available to view online and teachers are invited to visit the Abacus Teacher Shop located at 49 Guthrie Street, Osborne Park. Online orders: Enter the promo code TEACHERSUNION10 in the discount codes section to receive a 10% discount* on online orders. In-store purchases: Show your SSTUWA membership card at our Osborne Park teacher store to receive a 10% discount* on orders. *Excludes Primary Connections Resources. Valid until 31/12/2017. Abacus Educational Suppliers understand that every child is unique. For the past 30 years we have extended and improved our product range in order to cater to the specific needs of aspiring young students across Australia. The online store is home to an array of educational resources ranging from Maths, Science and Literacy supplies to classroom storage solutions and school stickers. Abacus also holds the exclusive distribution rights for PrimaryConnections products. The product portfolio is designed to inspire creativity and boost learning curves inside and outside the classroom. Because educating young minds can be a stressful affair, Abacus aims to give Australian teachers the right tools to comfortably guide students on their educational journey. Not just limited to the boundaries of the classroom, parents will also find inspiration for fun educational activities at home. Simply gift shopping? Browse our range of maths games or boost creativity with a K’NEX building kit. Abacus’ dedicated staff are 100 per cent committed to providing an excellent customer experience. Extensive research is conducted to ensure products are always of a high quality and a lot of effort is put into achieving fast and affordable delivery Australia-wide.